What does a frolicking fawn, a miniature cannon and a perspective of Coventry Cathedral all have in common? Well – they are a few of the numerous objects from Historic Environment Scotland’s Archive that are on display in the Scottish Design Galleries at the new V&A Museum in Dundee. Fellow paper conservator Lynn Teggart and I have been busy preparing 17 items for display. You can get a sneak preview below! 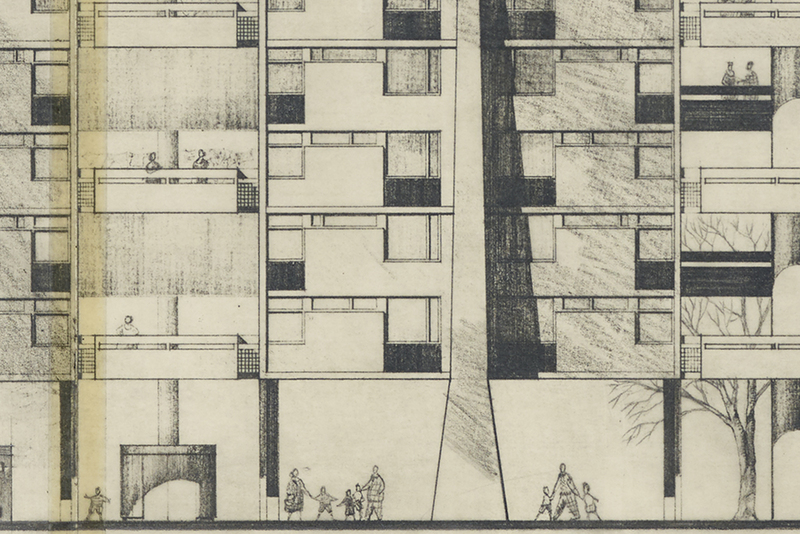 Size-wise the objects range from a teeny 28 mm relief of a bearded man to a whopping drawing of the now-demolished Hutchesontown C flats in Glasgow by architect Sir Basil Spence. Small item, huge impact. This chap, carved intricately into wood, is the smallest item that will be on display from our holdings. 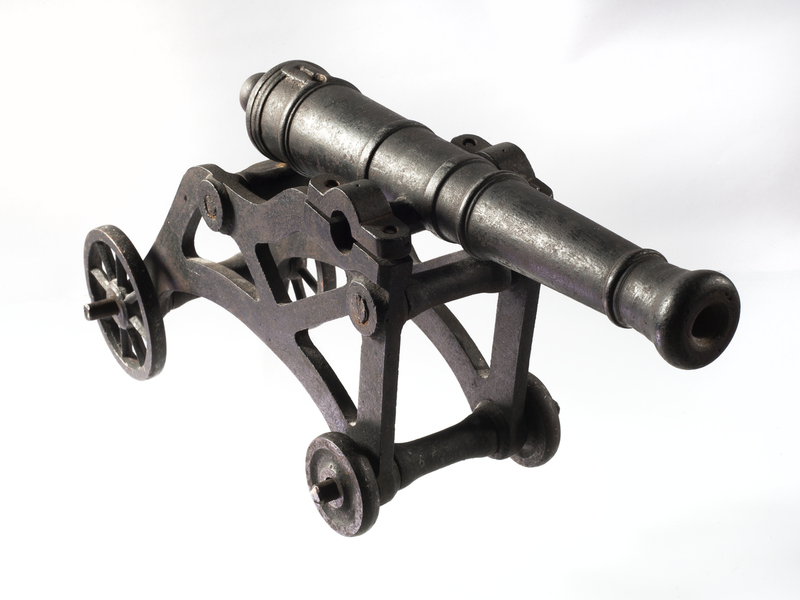 The small items were all made by the Carron Company, a Stirlingshire based business that produced iron work ranging from cookers and post boxes to real cannons! 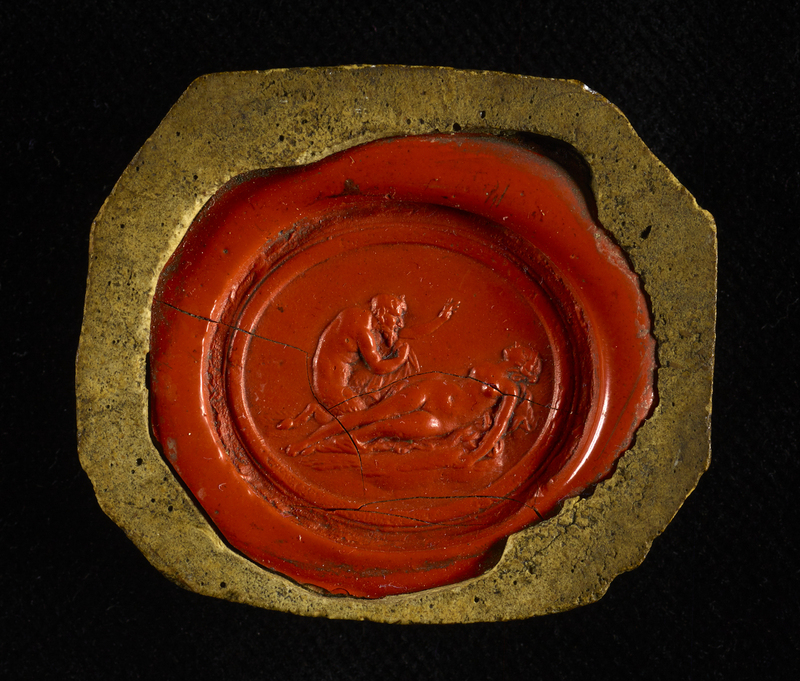 The HES Archive is lucky to hold a beautiful collection of drawings and medallions. The work selected for the V&A demonstrates the different processes the company used in the development of ideas and the production of objects. 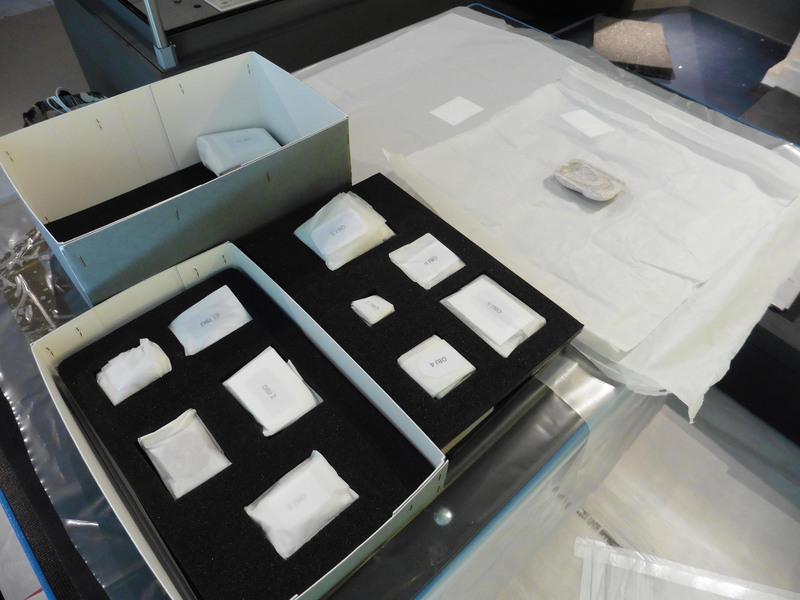 As conservators the challenge was to assess the condition of each of the tiny objects and ensure they would be safe to travel and display in the new museum. Each object had to be meticulously checked and documented, then packed carefully before the sixty-mile journey north from our Edinburgh archive. They were checked again on arrival and then delicately placed into their display case. It gave us a fantastic sneak preview of the amazing exhibition space. Destination Dundee: the grand arrival of HES archive objects at the City of Discovery, ready for unpacking and discovery by millions of visitors. 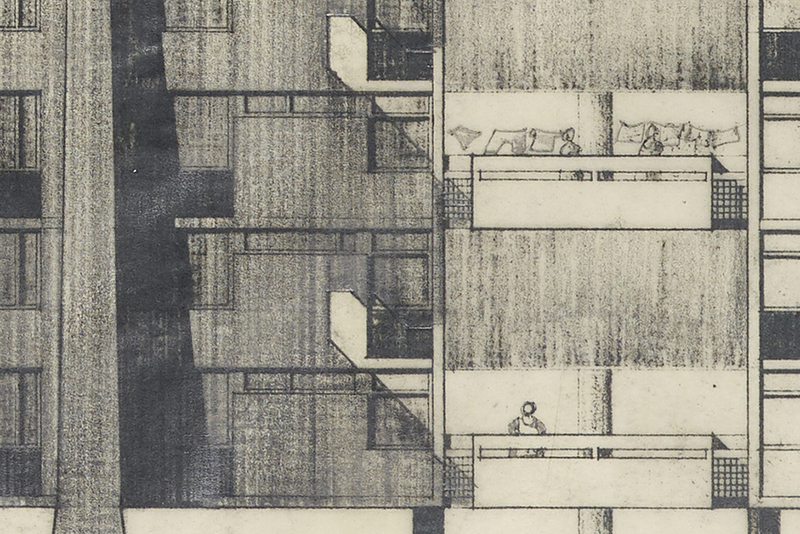 My personal favourite item in the exhibition is Sir Basil Spence’s perspective of the Hutchesontown C flats in the Gorbals area of Glasgow. 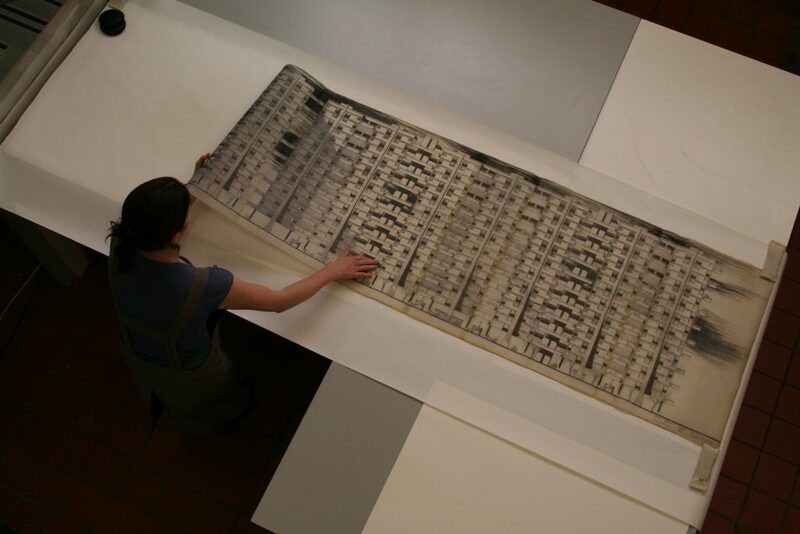 At an amazing 2.491 metres in length this huge drawing conveys the ambition of Spence, Glover and Ferguson’s housing plans. It’s a key example of 1960s architectural thinking and design. I first conserved this item as a recently qualified conservator in 2007. 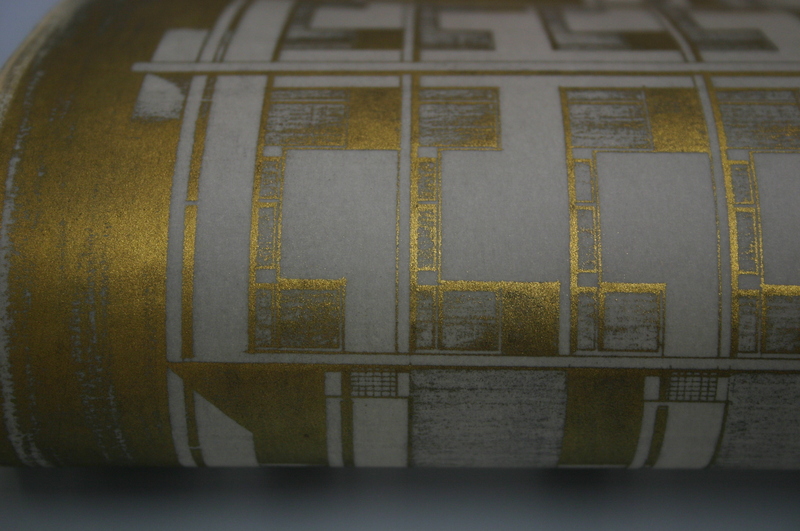 It is a fascinating object, a combination of an unusual printing technique which is gold on the back and black with pencil and charcoal on the front. The drawing is comprised of six sheets of transparent paper, all attached together with sticky tape. Normally tape is removed by paper conservators as an unwanted (and unsuitable!) repair that the architects themselves did back in the day. 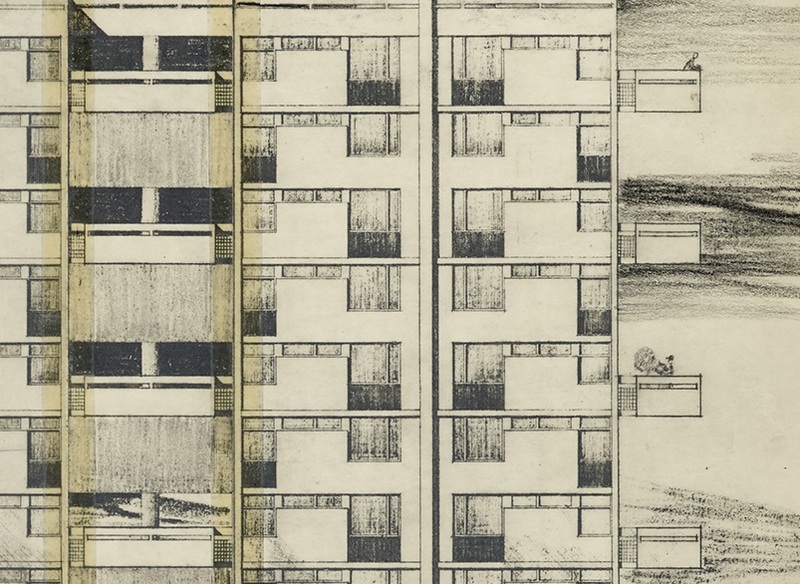 In this case the architects deliberately used tape so we treat it as an intrinsic, valuable part of the object. I especially enjoy discovering the details. If you get the chance, do visit Dundee and spot the washing being hung out to dry, the family out shopping and the man tending to his plants on the 15th floor! Historic Environment Scotland is responsible for managing and protecting over 32,000 objects and artefacts held at 150 properties and region stores across Scotland. Discover historic objects, works of art and archaeological artefacts found at sites ranging from prehistoric villages to Victorian mills in our Properties in Care collections. More than 480,000 images, videos and audio files on material culture and human history are available on Scran and and information for 300,000 historic places in Scotland can be found on Canmore.